There is another Rome, just underneath our busy streets and far from the crowds that usually you meet in the Colosseum. 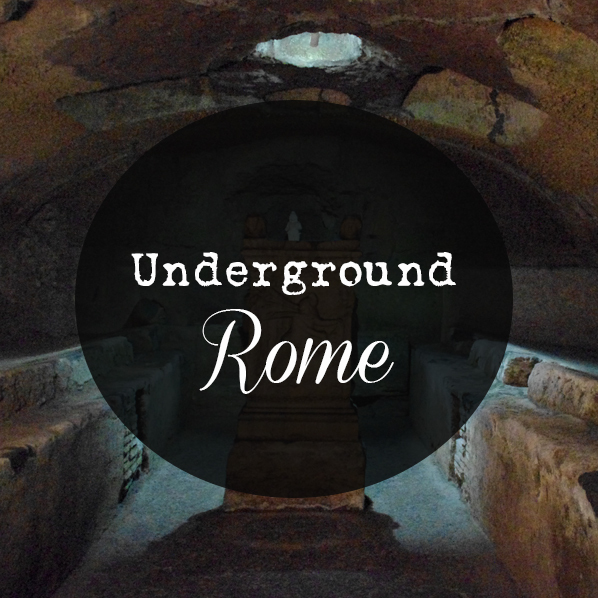 We call this hidden city the "Underground Rome": ruins of ancient houses, baths, temples discovered by chance underneath a church or a plaza of the modern Rome. The perfect way to understand Rome is to visit the Basilica of St. Clemente. Underneath a charming Basilica of the XIIth century, I'll guide you through 2 levels of chambers where you see remains of a IVth century church and an Ancient Roman district (Ist century A. D. ). Meeting point: I'll meet you in front of a small restaurant "I Clementini" (Via di S.Giovanni in Laterano 106) On request, I can meet you at the hotel and we can take together a taxi. - This tour is not available on Tuesdays and Wednesdays (closing days of Roman Houses). Write me if interested in this tour anyway, I can change the itinerary and visit with you another site. - Tour is indoor. No problem in case of rain, since we'll be outside only for the short walk between the Church and the Houses (15 minutes). We'll use raincoats and umbrella. Please dress properly (no naked shoulders and knees) since we'll be entering into a working church. - St.Clemente Basilica underground monuments is not accessible for visitors with movement disabilities or walking issues. Too many steep steps and no lifts. The Roman Houses on Caelian Hill is partially accessible. - If interested in more sites, I can create a custom tour and we can visit other crypts or underground sites. Admission tickets are not included. You can pay directly at the entrance of archaeological sites. It's 10€ a head for the St.Clemente Basilica (credit cards are accepted) and 8€ for the Roman Houses (cash only).